Sharing important updates on the latest and greatest in health. I am fairly active and spend quite a bit of time in the gym. I have always known the benefits of curcumin and have taken it for many years. To have it available in a great tasting formula in convenient small stick packs is a bonus! I take it every morning on an empty stomach. Thank you for creating such a great product! As health coach and a fitness trainer I’m all about health. I’m very picky about what I put in my body. When I found out about Curcumin-C I was very happy to try the product and see the results. I’ve been taking it for 2 months now and I feel I have much more energy to coach all my exercises classes. I also recover much faster from my crossfit workouts. And I know that I’m only putting good things into my body and they are actually staying in with Vitasome’s liposomal delivery system. I can’t say enough I’m in love with this product. I started taking the Glutasome and the Curcumin-C a month ago and have a noticed a dramatic decrease in my chronic knee pain. I’m bone on bone and was looking at knee replacements, but now the pain is almost gone. I have had all sorts of nutritional products sent to me for over 25 years, since nutraceuticals began to explode in the Sports and High Performance health field. Today, there are a number of good products, but none surpass Vitasome’s Circumin-C and Glutasome products. 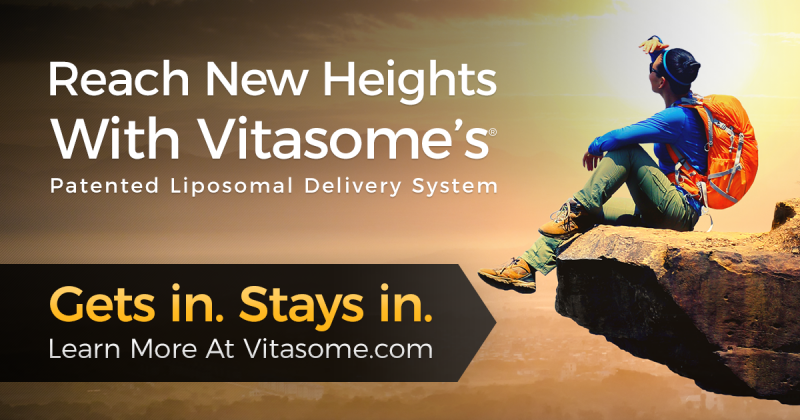 None have helped accomplish what Vitasome has for me: its Liposomal Delivery ensures the maximum transfer of its first class nutrition into my cells. Since I have been taking Curcumin-c and Glutasome daily, I am down to my lowest and best weight (217) since 1990, when I led the National Football League in scoring! I can’t be happier and encourage you to try it for one month. If you don’t feel a distinct sense of greater health, return the product for a full refund! I am pretty sure you will be thrilled! At first I was unsure of the product because of the stevia because I have never been a stevia fan, but once i blended together the Glutasome and the Curcumin together I couldn’t taste the stevia at all and the burst of energy I got from the product was incredible. I have been taking Curcumin-C for about two months now. I am 68 years old and before taking the Curcumin-C, I go to the gym at least four times a week and walk at least two miles a day after, I had no energy after the one hour workout. For the last three weeks I have been taking the Glutasome with the Curcumin-C together and have significant more energy and have even lost some weight. Thank you for helping me feel ten years younger. I was introduced to Curcumin-C from a friend who has constant energy and works incredibly long hours. This is my second week, and I have noticed my endurance, sleep and digestion have vastly improved. The daily pre-measured dosage with water, on an empty stomach, couldn’t be easier. No scooping, measuring or trying to swallow a handful of supplements anymore. This is a breakthrough supplement for me! So grateful for these products that I ENJOY taking! They are so delicious in my morning water bottle. After years of on-and-off consumption of curcumin(tumeric), that was recommended by my naturopath for inflammation and immune issues, I can FINALLY take regularly! And the bonus is that I know it is getting in and staying in with this patented delivery! I also take the Glutasome. my skin has never felt so nourished. At 52, I have tried MANY products to stave off aging (or the appearance of)…I know Glutasome is my forever support . Mixing the two products makes sense. Thank you Vitasome! I am a competitive power lifter. I often experience really bad inflammation in my lower back area. My pain went almost to zero once I started taking the Curcumin-C. I used to take Ibuprofen every day but now I don’t need to. Because of my intense workouts I like to take about 2 doses of Curcumin-C every day. I also noticed that I had increased energy and overall I feel so much better on the product. I’ve had severe psoriasis for 25 years now … a week after I started taking Glutasome my angry red inflamed skin calmed down, and a month later, I don’t shed AT all. After 2 boxes of Glutasome: Clearer and brighter face, more even and lighter skin tone and less visible varicose veins plus I sleep better!